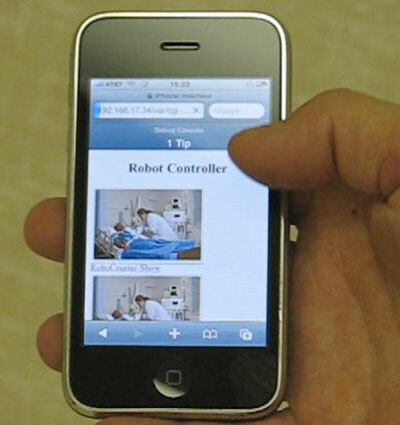 Since their creation, the iPhone, iPod Touch and iPad have become the product of choice for implementing the easiest to use interface for controlling and monitoring teleoperated and autonomous mobile robots. Almost since the day they were released, we have been using the iPhone and iPod Touch as remote controllers for our robot installations. Our engineers and associates have decades of experience with Apple, Mac, and iDevice application development.